I'm trying to go back and recap some of what was said on tonight's Entertainment Tonight...it's so splintered I've tried to put some of it in order. Please bear with me if I don't get exactly each word...I'm trying...but I'm having issues working the playback. I've started over about 10 times, lol. "When we arrived at the gates of Castro Castro of course I was anxious, and I was nervous. 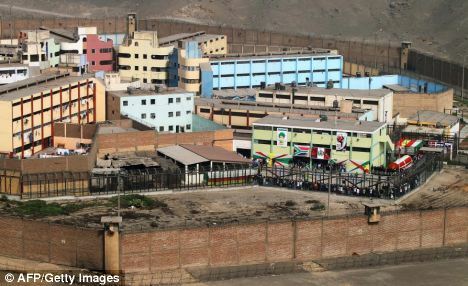 When we entered the prison grounds...I still felt...you know...confident that what I was doing was the right thing." "He took my daughter, he took my life, he took my entire world!" "I want to see him, I want to get face to face with him." "I've hated him for five years, I've wanted to peel his skin off his face." "I want answers, I want them now." "I'm thinking this is it, this is my one chance...and I'm never...I will never get this chance again. As my eyes met him and we were face to face....the only thing that I had left in me that I could do was to just speak from the heart." "If he thinks I've been pestering him for five years...he hasn't seen anything yet. Because if he wants to continue to sit there and insist that he doesn't have answers...and doesn't know what happened to Natalee...well then I want him to keep saying that when he's 60 years old sitting in prison." 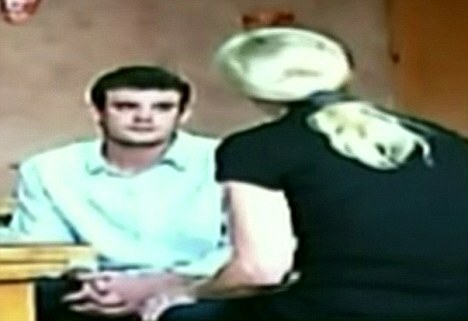 "He can't even take a mother sitting in front of him to tell her the truth...that's pathetic...it's pathetic." Speaking to Peter in front of the house Joran claimed Natalee is buried under..."It's another elaborately fabricated story from Joran. And of course we thought...just maybe...just once...he was telling the truth....but no." At the beach in Aruba..."It's what I can do now, is come here and look out, and I never could do that." "I know that Joran will either spend the rest of his life living in a Peruvian prison, or...I will have Natalee...I will bring her home...and I will have the answers I have been so desperately seeking." "I just wanted to get face-to-face with you." "Joran, I've been a school teacher for 30 years and I felt like there was a real sincerity that you wanted to get this monkey off your back...and I thought I was, I mean, I thought I was like, you know, that's where we were going." "If it was an accident, tell me....you know, I don't know...I don't know." "It's too late for Natalee...but it's not too late for you, Joran." "I won't do anything until I get some information about Natalee." "I want to know what happened and I want to move on, Joran. I want to move on." "You have your own life ahead, you're the boss of you. But here Joran, time stands still...the clock stops..and you're just stranded in time." "Joran, you don't need to lose your life here in prison, and be sitting here when you're 60 years of age, and insisting to me that you don't know what happened." "You can sit here for the rest of your life." "I hope you can understand also, it's very hard...hard for me to talk to you." "This is really not easy, I'm really doing my best. And I know you have a really good heart...I know that...I know that for a fact...I mean I've made so many bad decisions and all for, for the wrong reasons." Joran: "I've told so many lies." Beth: "You didn't listen to me then." Joran: "It's not something that's easy." Found another one.... I'll really try not to read it again. Kermit, that picture of that POS, Koen is Texas sized! Yeah, and I couldn't get to another computer to fix it. Photobucket on this one bugs out. Thanks, TM for the transcript. I still am not happy with the 'The Insider' & 'ET' venue....guess I'm in the minority. Page 1: I cannot tell you how much it hurts to lose a child. There are no words to describe the feelings that choke a parent who outlives a daughter. It is not supposed to happen this way. I was never prepared for this kind of pain, this type of emptiness. My heart has an insurmountable void that used to be filled with Natalee's presence. I will join you in that minority corner. I don't approve either. I didn't get to see what was on The Insider, but I'm definitely with you on the ET part. I agreed with an earlier post of yours but got sidetracked and didn't respond. I don't usually watch ET either. The ET version didn't have anything about the encounter in the hall either. I won't be watching it because the way the story is being chopped up. Too bad he is using the location a previous murder as leverage to reduce his punishment in this murder. I probably won't be back for a while so peace out. No Body...No Tourism aruba! 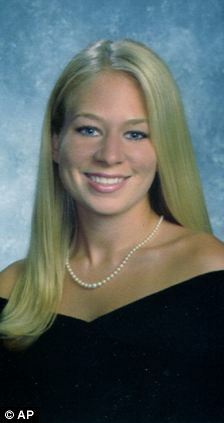 Bring Natalee Home! Sorry if this has been posted. I don't remember seeing it. Due to the small number of entries round September 1st and the high costs to organise the event and make the contracts with airliner, hotel, containertransporter, the organisation decided to postpone the 20th edtion to November 2011. Together with the mainsponsors Aruba Tourism Authority and Heineken Aruba we will make it in 2011 a great event. High-profile Dutch crime reporter Peter De Vries was also involved in the confrontation. It was first reported on in September - but now footage and what was said has been revealed. There's a new "preview" up on Peter's website! Take a look at the promo! "I stay on his back until I know what happened." Beth Holloway Joran even know how to find the maximum-security Castro Castro prison in Lima, so we leave our Sunday broadcast show. If after five years uncertainty Beth come face to face with the man who left her daughter away, she prays to Joran to tell the truth about what happened to Natalee. Worked in secret to our program a real mission impossible for a meeting between Joran and Beth to set up in the Castro Castro prison. Arrived in Peru show that plan a lot of tedious to have. 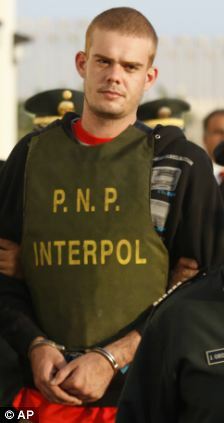 We found that Peru is a country of corruption, violence, nepotism and agreements are not fulfilled. But Peru is also a country where sometimes you can luck suddenly and where at the highest level of sudden unexpected doors open .. In our program we show how Peter and his team along with Beth and a cargo of equipment entering the prison, the action almost falls into the water by Joran Joran lawyer and how Beth and eventually face to face with each other to assist in the boardroom. 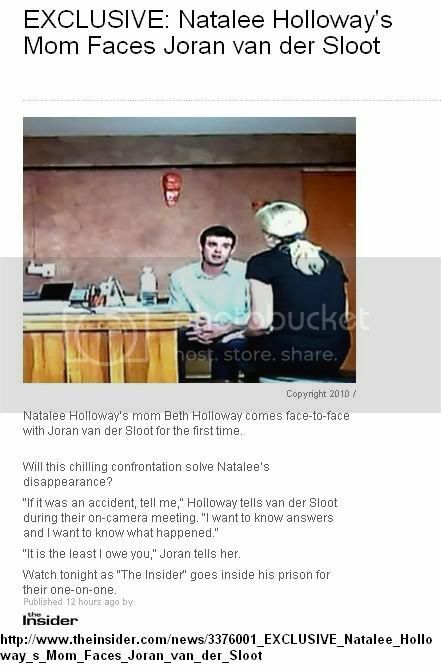 Joran, who in a recent interview said sorry for his actions, really regret about what happened to Natalee Holloway? In Peru Beth in front of our cameras also met with the brother of the murdered Stephany Flores. Lima Beth wanted to make sure that Joran this time the dance rises, as five years ago in the case of Natalee have seemed to happen. 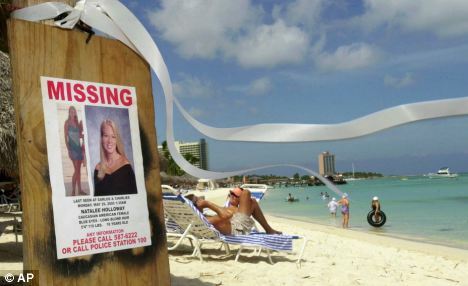 Peter and Beth finally travel together to Aruba, where they go to the beach where it all began five years ago: the scene where Natalee vanished. 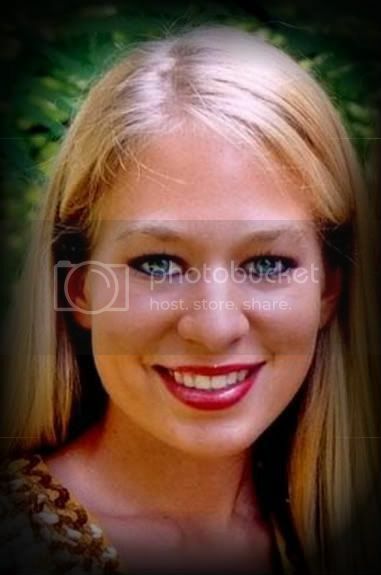 Beth Holloway never dared go there because they could not cope emotionally. To conclude the special trip, Peter on the beach in Aruba a gripping interview with Beth. Peter R. de Vries, crime reporter, Sunday, November 7 at 21:30 at SBS 6. Found the new preview on youtube! 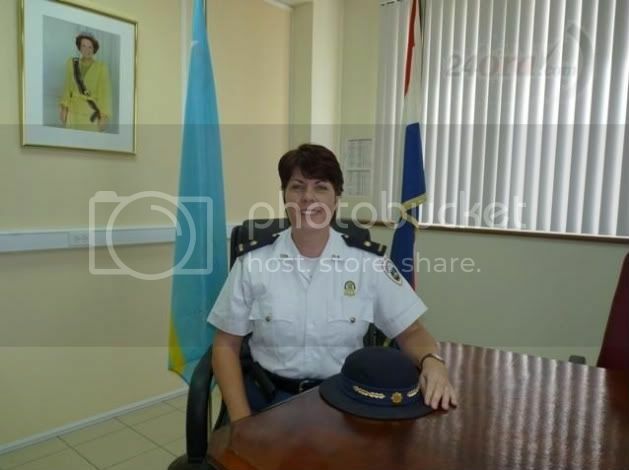 If I understand correctly, Dolfi Richardson's wife has been appointed "interim" Chief of Police while Dolfi's in Holland and Trudy Hassell is in Qatar for two weeks. relaciona cu one biahe by job, alto comisario dolfi richardson will is at the netherlands before reuni on rst, while cu comisario trudy hassell will is at qatar before one meeting by interpol. cu the two unique comisarionan ausente, cuerpo policial have to owing to apunta jeannette richardson-baars, that is casa by the actual alto comisario because the boss interino till cu day 15 by november proximo. the storia by sra. jeannette richardson- baars is uno very peculiar because before ley the have to owing to become comisario for by very time come to anend. the was inspector by police even first cu her casa the become inspector. 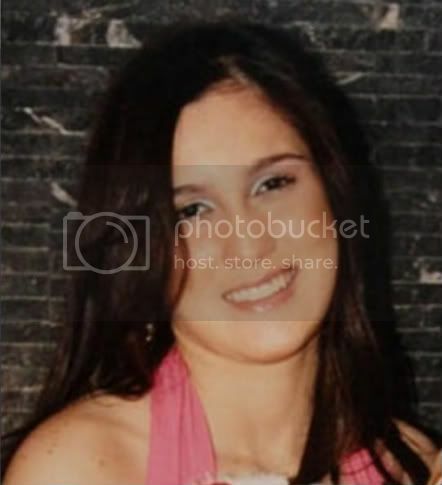 jeannette richardson-baars owing to arrive aruba by year 1995 y owing to arrive by ocupa several funcion in cuerpo policial. before several year the was boss by the staff by alto comisario y was fungi because the consehero principal by the alto comisario. but before one or another motibo, probably before evita one conflicto by interest cu her casa, owing to opta before not nombr'e in the funcion by comisario but owing to want'e in the funcion by alto inspector by police. by year 2009 the is boss by the "divisie politie opleiding provided that ontwikkeling" under where scol before police is resorta. do not conoci if will nombr'e comisario by police at present, but at least in the next two week the is sit in the chair by her same casa, because korpschef interino. Moi aussi. I've been asking myself, since when did this become entertainment? We found that Peru (????) is a country of corruption, violence, nepotism and agreements are not fulfilled. Sounds like Aruba, to me. There was one segment near the end of last night's The Insider that I forgot to mention. Beth tells Joran that had she known he'd asked for a plane ticket back to Aruba in an email prior to the 30th, she would have obliged. She said 'they' didn't show me the email until the 30th. Yes, I know....I'm not the greatest at transcriptions. Page created in 6.181 seconds with 19 queries.